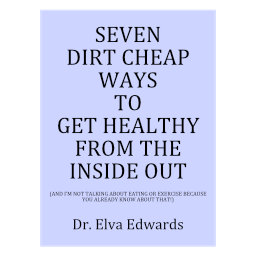 self-care – Dr. Elva Edwards, D.C.
We are in the midst of winter. People have been getting sick right and left. If you can’t shake your coughing and feeling sick, come in and see me! I’ll help you. The knees are so important. I probably don’t have anyone disagreeing. When you complain that the inside of your knee hurting, that is one of the first indications I have that you are stressing yourself out too much. Your adrenals can’t keep up with you. Of course, that is when the patient reports no falls or injuries to the knee. The pain just came on. So please beware of your inner knees. The ligament is trying to hold your knee in the right place, but it needs some help. Slow down and rest. Relaxation is restorative. Americans tend to go, go, go. Get to bed by 10 pm at night. If you are drinking coffee, monitor the amount. If you don’t pay attention and get a little help for the knee when it needs it, you are setting your knee up for injury! Don’t be that person. Think back when you were a kid. Did you know any adults who had Alzheimer’s? If you are even close to my age, the answer might be no. I grew up with grandparents, so I was probably around more older people than most. I did not know anyone who had a bad case of dementia, no matter what the diagnosis. Of all the problems of old age, most of my patient’s share my concern: I don’t want to lose my marbles. I don’t want to live like that. My patients tell me they don’t either. But I notice more and more nursing homes. More and more problems with memory. To stay vibrant, we need to do what we can to insure brain health. Here is an articlethat nails one of the causes. And have a MERRY CHRISTMAS! Today we have some choices for care that we didn’t have when I was a child. If you are thinking you could be a candidate for a knee replacement or a shoulder replacement, you have more choices in most circumstances now. Have you ever considered a stem cell injection? Or a shot of protein rich plasma, called PRP? When I weigh a shot, which is how stem cells are given, or a surgery, I think the shot is a great deal less invasive. Yes, it is possible it won’t work. But a replacement might not work either. After a stem cell injection, you can still have a replacement if you need it. The only glitch is that insurance will not pay for stem cells or PRP and they are pricey. There are many complaints about the costs of health care (I call sickness care). And yet, a great deal of the costs could be eliminated if people were given stem cell and PRP shots instead of replaced parts. You see, the powers that be don’t really want to decrease the health care bills. “They” say stem cells and PRP are experimental. How long do they have to be done before they are no longer classified as experimental? Is it possible that big pharma does not want them considered regular care? I mean, how much medicine would you need with a shot? Think about it! I doubt there is any adult who hasn’t been touched by cancer. Perhaps a grandparent or an aunt or an uncle has had the diagnosis. Who doesn’t know someone who has had cancer? We live in a world in which cancer thrives. Our food has problems. Our environment has problems. But that isn’t what I want to talk to you about today. If a cancer diagnosis arrives, what do you do? Of course, it is always better to avoid a cancer diagnosis, but how? I am giving you a link today to The Truth About Cancer docu-series. Their mission is to educate, expose and eradicate cancer once and for all. I’ve previously seen it and I’m sure there is new information. You can watch a segment each day or you can buy it and watch it at your leisure. If you don’t have cancer and want to avoid it, you can learn a best approach by watching the series. If you have cancer and want information on a holistic approach, then listen and learn. You will be given much information. No one uses all of it. You can pick and choose what works for you. Knowledge is power! Children are back in school and we are clearly looking at fall. Labor Day, Thanksgiving, Christmas and New Year are around the corner. Throw a fall break in there, if you have children in school, and you have your calendar for the rest of the year. But right now, we are enjoying the bountiful summer harvest. Going to a farmer’s market will heighten your senses. Enjoy the fresh produce because winter isn’t far behind. My Granny always “put up” vegetables and fruits by canning and freezing. I hope these arts aren’t lost in our progressive world. When we can or freeze, we know exactly what it in the product. When we buy it, we don’t know exactly what is in the product. Because our health depends on our food, if you are so inclined, I think you are awesome if you can or freeze even a small portion of your food. In the winter when you take a cobbler out of the freezer that you made this time of year, it is far better than any you can buy! And probably more nutritious. Whether you freeze or can or don’t do either, enjoy this time of year with our bountiful harvests. My favorites are the peaches this time of year. What fruits or vegetables available now are your favorite?